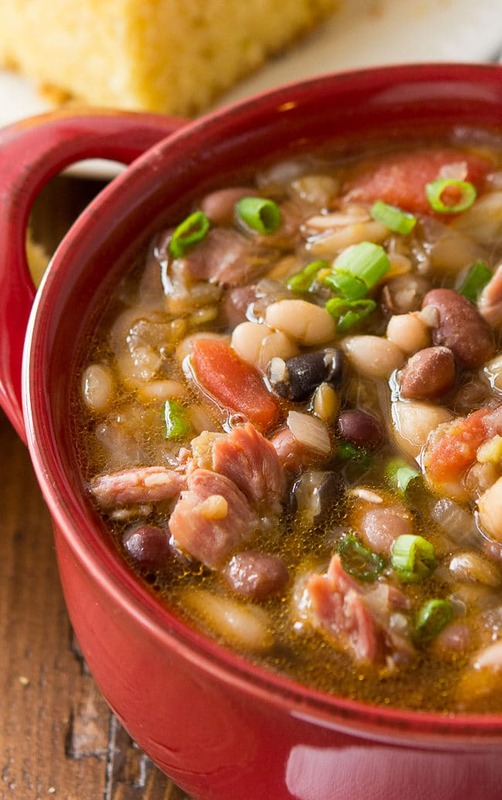 Baby, it’s cold outside, but this crock pot 15 bean soup recipe will warm you right up! This is some magical ham and bean soup, but I can’t take any credit whatsoever for the recipe. I followed the directions right on the back of a bag of Hurst’s HamBeens 15 Bean Soup! 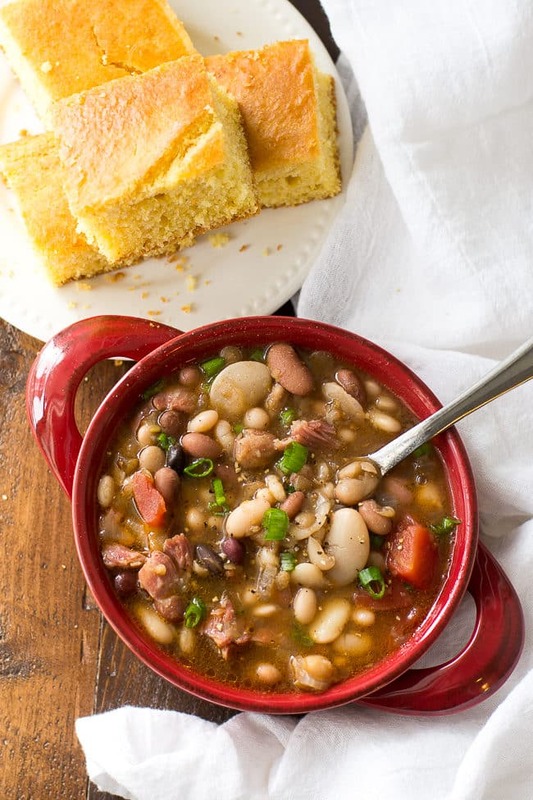 It’s a really wonderful recipe that makes the perfect hearty crock pot 15 bean soup. 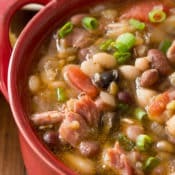 Throw in a couple ham hocks and you’re in bean soup heaven. If you haven’t tried this brand of 15 bean soup, you must. Their seasoning packet is amazing. In fact, if you want to spice things up a bit, you don’t want to miss my cajun 15 bean soup recipe! 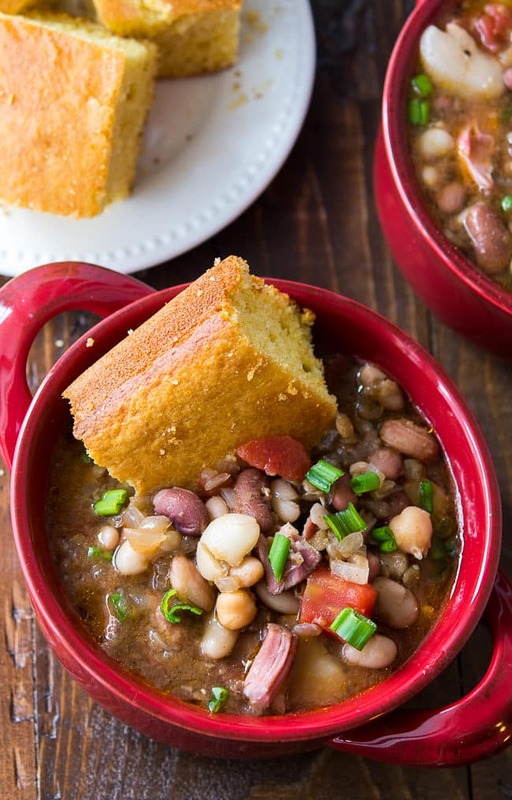 If you’re going to make this crock pot 15 bean soup I absolutely insist that you fix up a pan of my easy buttermilk cornbread to go along with it. It’s a no-fail cornbread recipe that I’ve made a hundred times. Ham and bean soup just isn’t ham and bean soup without a buttery hunk of cornbread dunked in it. Trust me, it matters. This cornbread also goes amazingly well with my crock pot chicken noodle soup. This is such a simple family meal and one that’s actually quite fun for the kids to eat. They love poking around in their bowl inspecting the different varieties of beans. They were convinced that they counted well over 15 types of beans in their bowl, for the record! 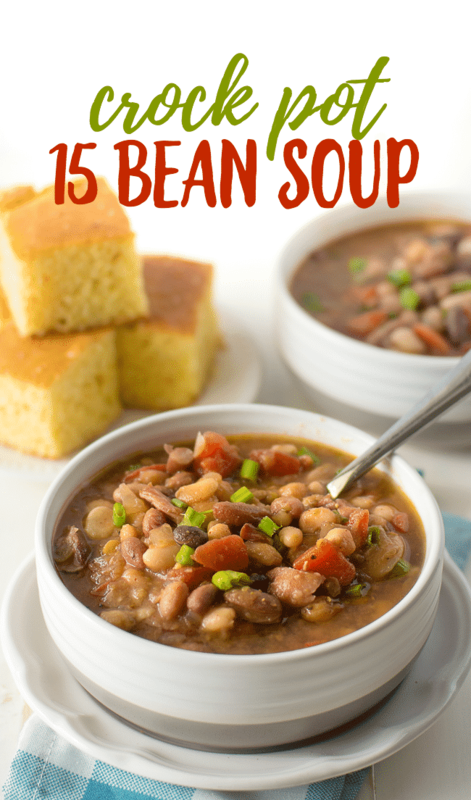 There was a time in my life when I wasn’t a huge fan of beans, but now I absolutely crave warm, filling soup recipes like this crock pot 15 bean soup. 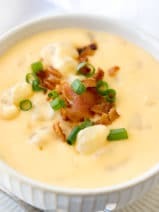 I also love making soups like this because we can enjoy leftovers for a couple days which takes the pressure off of me to come up with something to cook. That’s a total win for this busy working mom on those chaotic school nights. In fact, if you’re a soup fan, don’t miss my amazing Instant Pot Chicken Taco Soup recipe, and our comforting Instant Pot White Bean Soup. If you’re looking for an old-fashioned classic, don’t forget about my papaw’s best navy bean soup! This is a wonderful belly-warming recipe that will remind you of those simple, filling soups from your childhood. I think you’re going to love it. 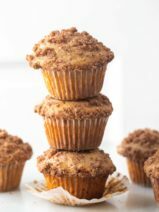 Also, don’t miss our tutorial video below to see how this tasty recipe comes together. Hearty and delicious, this amazing 15 bean soup will become a family favorite—fast! 2 ham hocks, 1 to 1 ½ lbs. Sort beans and rinse thoroughly. Pour beans into a crock pot. Add the chicken broth, onion, garlic and the chili powder and stir. Place the ham hocks in the mixture. Cover and cook on high for about 4 hours, or until beans are tender. 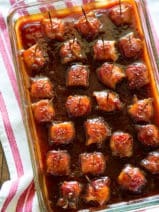 Remove the ham hocks and allow them to cool enough to handle. 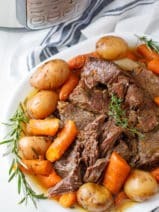 Remove the meat and put it back into the crock pot discarding the bone and the fat. Add the flavor packet that came with the beans, the diced tomatoes and the lemon juice. Stir and cook an additional 30 to 35 minutes longer. If preferred, using the same method cook on low for 6 to 7 hours. Why the lemon? Making it right now…. Would it be possible to tell me the amount in the package of beans, how many cups? I use this same recipe! One thing I do differently I guess is save a hambone from a ham and I will cook that down first if I have one. Now that makes a difference too! You really get that deep ham flavor. Yours looks delicious and I agree about the cornbread too. Do you soak your beans first? You don’t need to soak using this recipe! Thanks for sharing, this looks like a great recipe.